Photos can make your interior look beautiful in a split of a second. All one needs is an attractive photo, photographed well, with a good frame and you are all set to make your interior look attractive. Photos can also be combined with unique home decor objects to make them stand out. A good example is a photo calendar. 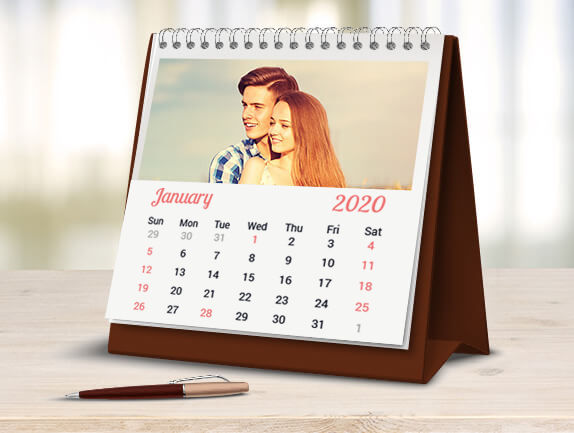 Make your own calendar with unique photos to not only to serve its purpose, but also to have some memorable pictures displayed which would always make you remember fond memories. Create a photo calendar online with CanvasChamp. All it takes is short listing some of your favourite photographs and going on our website and creating this wonderful unique product. They look attractive in office spaces and also work well for your study or library at home. They add a personal touch to your work space, and hardly take up space. Rather than having decor like photo frames as well as a calendar, why not combine the two and make your work space look attractive and trim? Photo calendar is also an ideal gifting product. If you need to gift something to your loved ones on special occasions, you can have a personalized photo calendar made and gift it to them. It is surely going to make them very happy. A personalized photo calendar is nothing but the best of your photos converted into a photo calendar. 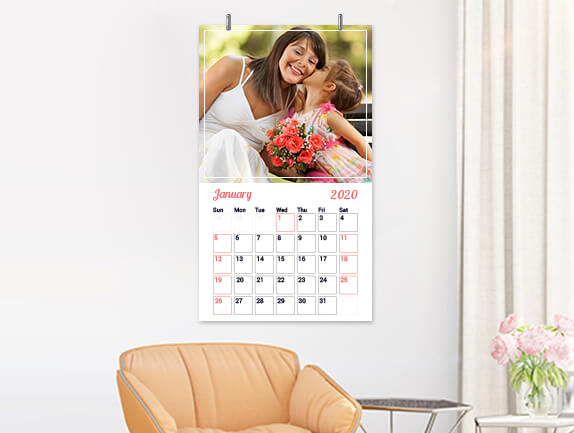 These personalized photo calendars could be Desk Calendars as well as Wall Calendars. Desk Calendars are also a great option for offices and homes. Photo desk calendar is a two in one option for offices, where you need not get a separate framed photograph if you are planning to have your loved ones pictures enlarged and framed in your office space or cabin. Desk calendars are the best to not just keep a tab on the important dates of the month, but also have something nice displayed on your desk. Canvas Champ offers artistically made customized desk calendars to enhance your office desk and cabin. Theme based desk calendars like holiday, birthday parties or simply some of the most memorable moments of your life etched in a calendar look wonderful in office spaces, merging seamlessly with the interior. They also merge the traditional photo frames and calendars into one, helping you use your desk space more efficiently. A wall calendar is a must have in offices. Though all laptops and smart phones offer calendars, a wall calendar in your office space lets you plan your month efficiently and also helps you mark important events easily. Arguably, apps and laptops also have this feature; it is still the best to have the important events marked right in front of you to help you remember them well. An eye catchy wall calendar with your favorite quotes, pictures or one with the most special moments spent with your family works well for office spaces. They can be done in different colours according to your office interior. A personalized poster calendar is adorned with every attribute that makes it grab people’s attention. A photo poster calendar lets you share your loved moments creatively. 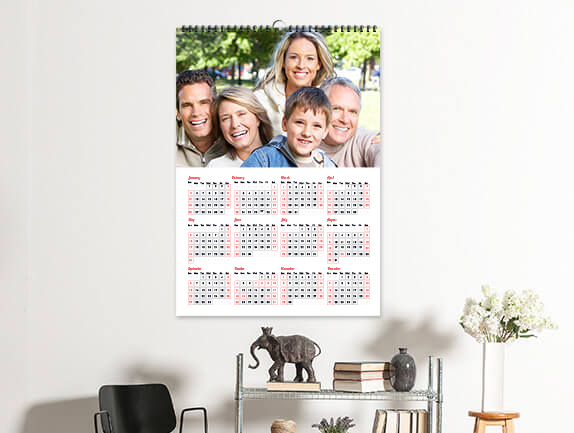 A poster calendar allows you to keep your favorite photos right in front of you always. What are you thinking? Collect your best pictures and add life to them by creating a poster calendar online. To ensure a personalized experience, our team leaves no stone unturned to give you wide range of customization options for your poster calendar. You can not only add photos you love the most, but also choose captions, backgrounds and much more. And yes, our online store keeps your design and progress saved on our highly secured platform.